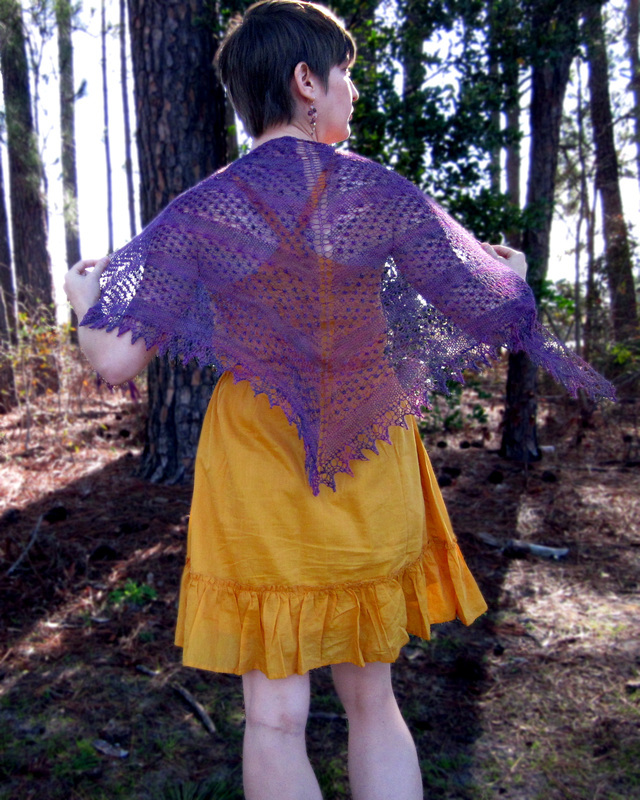 Blackberry Mist Shawl is a triangle shawl worked from the top down in alternating stripes of Blackberry Lace and Stockinette Stitch. The bottom edge is finished with a knitted-on scalloped lace border. Size can be adjusted by working more or fewer repeats of Blackberry Lace Stripe and Stockinette Stitch Stripe. Stitch patterns are written and charted. FINISHED MEASUREMENTS 57” wide and 27” long at the center back. 15 sts/24 rows = 4" in Stockinette stitch.